Preliminary results for the 2018 Population and Housing Census puts the total population (de-jure) at 17,563,749 up from 13,029,498 in 2008. The total population has grown by 35 percent between the 2008 and 2018. The population for males is 8,521,456 representing 49 percent of the total population while the population fo r females is 9,042,293 representing 51 percent of the total population. Malawi’s population density continues to grow while the land area remains static. 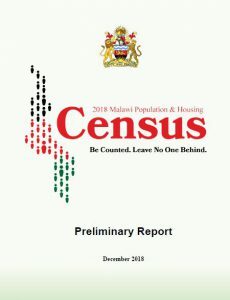 During the 2018 PHC Malawi population density stood at 186 persons per square kilometer up from 138 in the 2008. Southern region has the highest population density at 244 persons per square kilometer followed by the central region, 211 northern region 84. A population of 8,894,534 are below the age of 18 representing 51 percent of the total population. 2,783,364 people live in the urban representing 16 percent of the population while the rest (14,780,385) live in the rural of the country representing 84 percent of the total population. 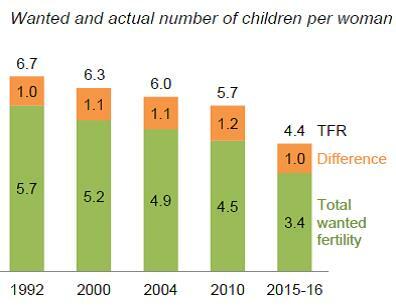 This indicates that Malawi’s population is still predominantly rural based. Approximately the same number of male and female populations live in the urban, 1,385,218 and 1,398,146 respectively. However, significantly more females live in the rural than men, 7,644,147 and 7,136,238 respectively. Long term development planning in Malawi is currently guided by the vision 2020 and is implemented through 5-year medium term development strategies. 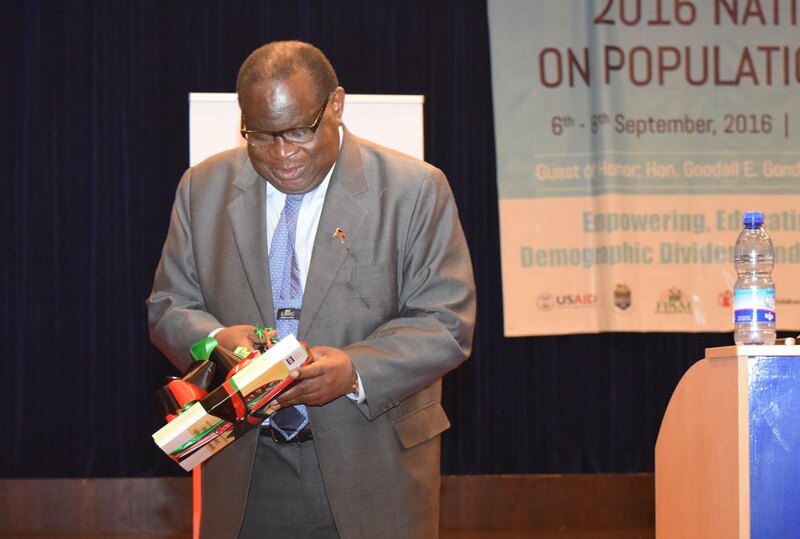 In 2018, the Government of Malawi launched the fourth Medium term strategy, the Malawi Growth and Development Strategy (MGDS) III (2017-2022). The theme for MGDS III is “Building a Productive, Competitive and Resilient Nation”. The strategy has 5 Key Priority Areas (KPA) and population has been recognized as one of the key priority areas under the KPA number 5, Health and Population. 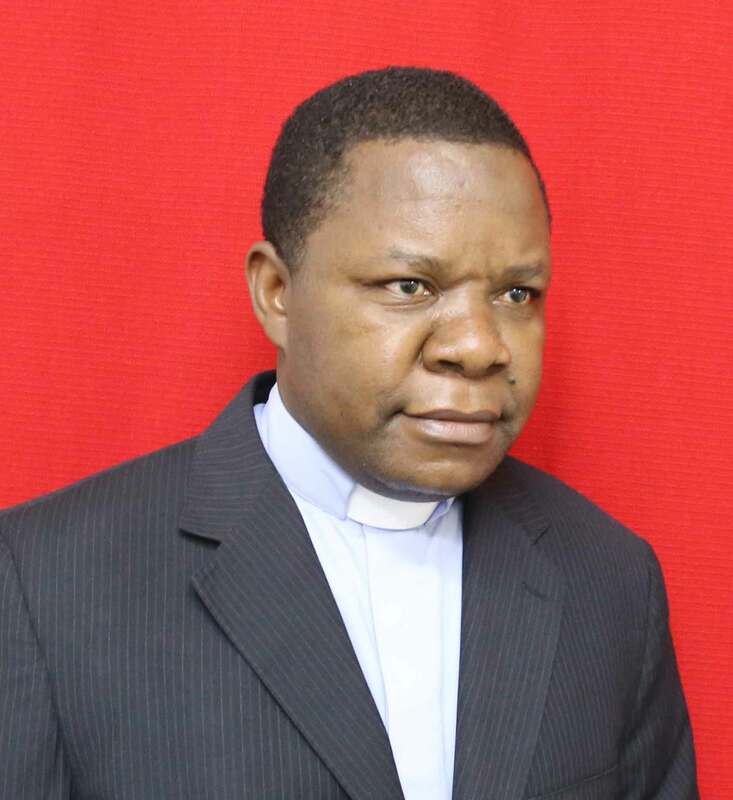 This strengthens the idea that Population is considered as a development issue in Malawi. The other four KPAs are: Agriculture, Water Development and Climate Change Management; Education and Skills Development; Energy, Industry and Tourism Development; and Transport and ICT Infrastructure. The goal of the Health and Population KPA in MGDS III is to improve health and quality of the population for sustainable socio-economic development. The expected outcomes that will lead to the achievement of the goal include: Slowed population growth; Skilled and empowered youth population; Increased maternal, neonatal, infant and child survival; Increased policy and legislative measures; Effective population and development planning at all levels; and Increased awareness on population and development. The MGDS III points out that when population growth outpaces economic development, it puts enormous strain on the economy. The high population growth rate has produced an overwhelming demand for national resources, jobs and social services. With 46 percent of the population under the age of 15, there is a high child dependency ratio. Government investment in services, such as education, health among others, for families, children and young adults has been inadequate. Aggressive investment in youth development is called for to reduce the dependency ratio and empower youth to contribute to the national economy. 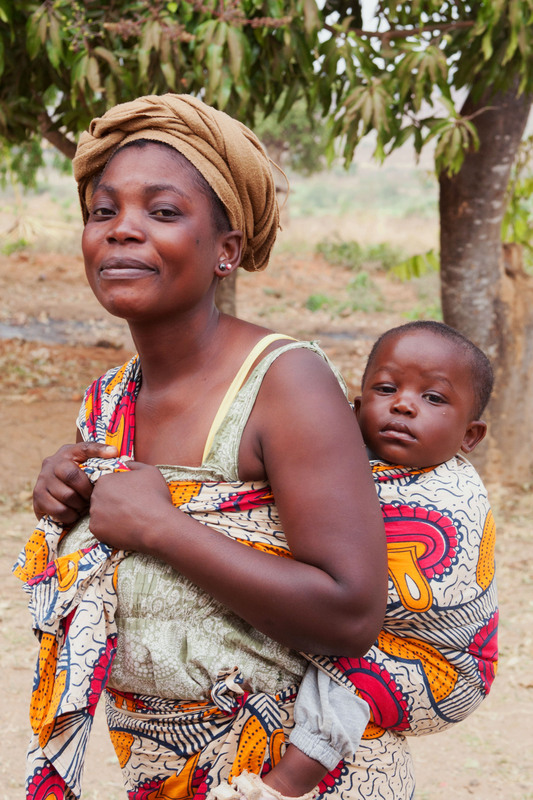 Concerted efforts by the Malawi Government and its partners have led to a decline in the number of children Malawian women are having in their life time from 5.7 to 4.4. The Population and Development Unit (PDU) of the Ministry of Finance, Economic Planning and Development (MoFEPD), recognizes that the development is as a result of various driving factors, that includes multisectoral coordination and implementation of the National Population Policy. MoFEPD’s multisectoral approach includes engagement of key sectors such as Health, Education, Environment, Religion, Youth and others in scaling up of service delivery around planning of families, provision and access to Sexual Reproductive Health (SRH) services, and research on population and development. 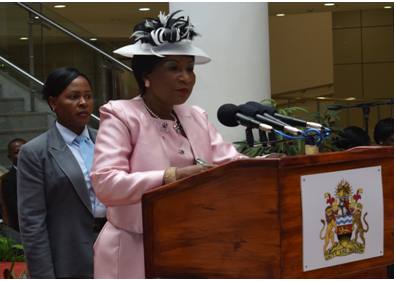 The Ministry believes that the integration of population dynamics into development plans, including the education curriculum have greatly achieved good results.